Project-based packaging is the cornerstone of our company’s services. It remains a significant part of our service offering and integral service for many of clients today that rely both of our core competencies to support their businesses. 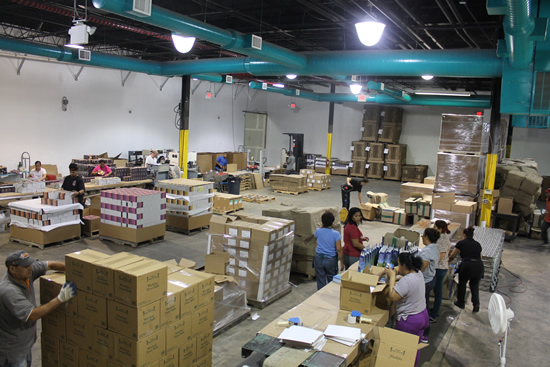 We offer many different types of packaging services from very manual and basic to extremely complex and automated. Through many years of experience we know how to best setup assembly lines, integrate conveyors and automation, optimize packaging materials usage and achieve the shared objectives of producing quality at a competitive price. We control inventory of kit components and assembled kits in our warehouse management system and produce kit assembly transactions to convert inventory from one form to the other. Maintaining inventory at this level facilitates a virtual and physical paper trail of inventory usage and allocation for proper inventory management practices, enables tracking of inventory lots, and allows us to retain detail kit assembly instructions for each kit which automatically print with the kit assembly transaction. Extending beyond basic assembly of identical products, we can assist clients in using the contents of kits to achieve various goals for subsequent data capture (i.e. coded components), provide match mailings with personalized & color printed mail merged letters, and pack kits within kits for multi-level parent/child association. The foundation of our company was in the automated packaging of books on Levi-Matic cartoning equipment, at one point we were packaging and mailing 4-5 million packages per year. We continue to try and automate packaging whenever possible to minimize cost and maximize output and will invest in equipment when it makes sense for Swan and our client. We have extensive experience in creating retail-ready displays constructed of corrugated and other materials that are assembled to specification, filled with product according to client instructions or planograms, and over-packed for protection and secure transit. Clients that require integrated inventory storage, kit & POP display assembly and retail order fulfillment benefit from our diverse experience, and we have relationships with display designers and manufacturers to provide a turnkey solution.